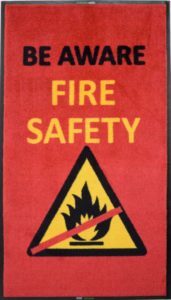 Keeping your workplace safe, wether it’s an office, a kitchen or a workshop must be one of your top priorities. Sending the safety message to your staff once isn’t enough. 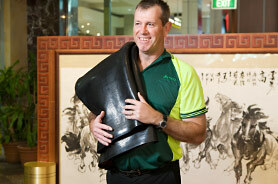 Staff need to be constantly reminded of your safety policies, so that safety becomes just as important to them. If you keep the safety messages going it will ensure your workplace is kept safer and will more likely be accident free. 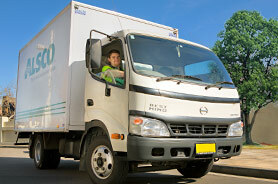 At Alsco we can help relay the constant safety message of your company’s most important policies. 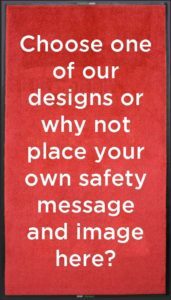 Our range of Safety Mats in colourful, striking colours and designs, ensure these mats and their message can’t be missed. 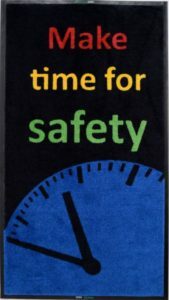 Every week we deliver a fresh new safety message mat to your business. 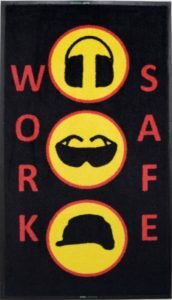 With our 5 great designs you will keep safety front of mind in your workplace. 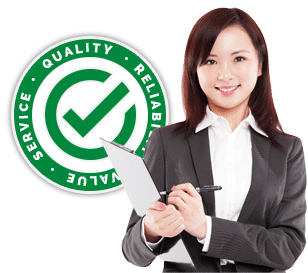 We can even design custom messages so your staff are reminded only of the most important, relevant safety information that your specific business requires. 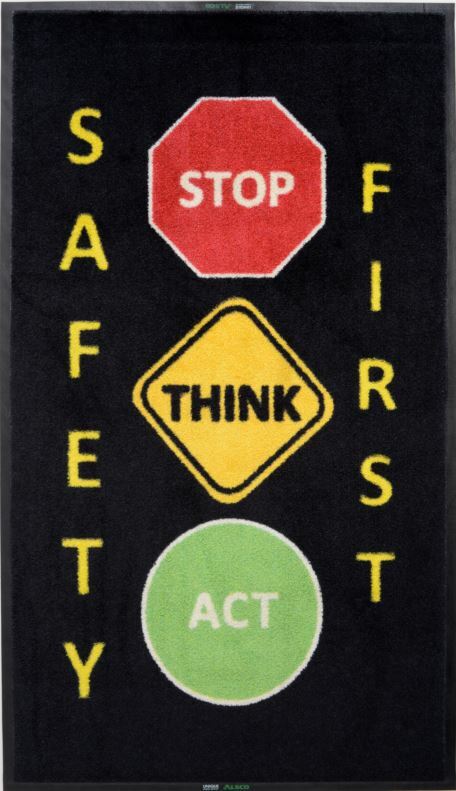 Here’s our range of 5 great Safety Message Mat designs……. Designed with bright, eye-catching artwork, these mats are impossible to miss. They’ll be a constant reminder to employees of important safety messages. 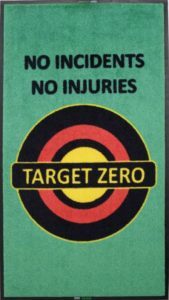 Place them in key, strategic locations, corridors and working areas and ensure your workplace and staff and kept more aware and safer. 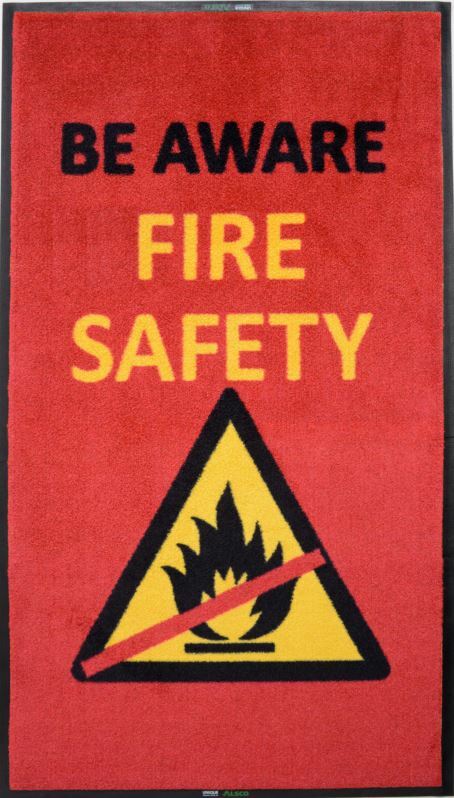 Place your Alsco Safety Message mats in high traffic areas therefore reducing wear and tear on your floors. 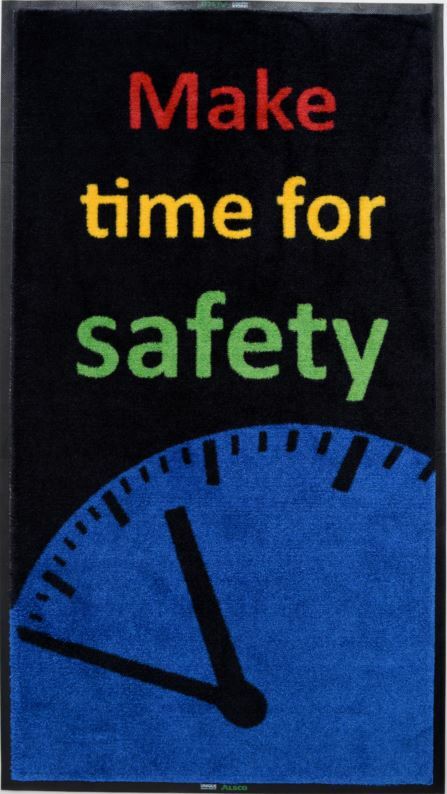 Alsco Safety Message Mats not only provide a great safety reminder but also their specially designed hi-tech fibre, collects dirt, dust and moisture keeping other areas of you workplace cleaner. 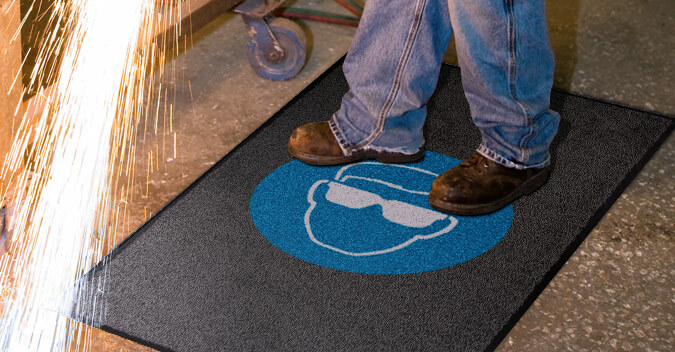 Alsco’s managed rental service, we’ll supply, clean and replace your safety message mats every week, ensuring your safety messages are as fresh as the mats they’re printed on. 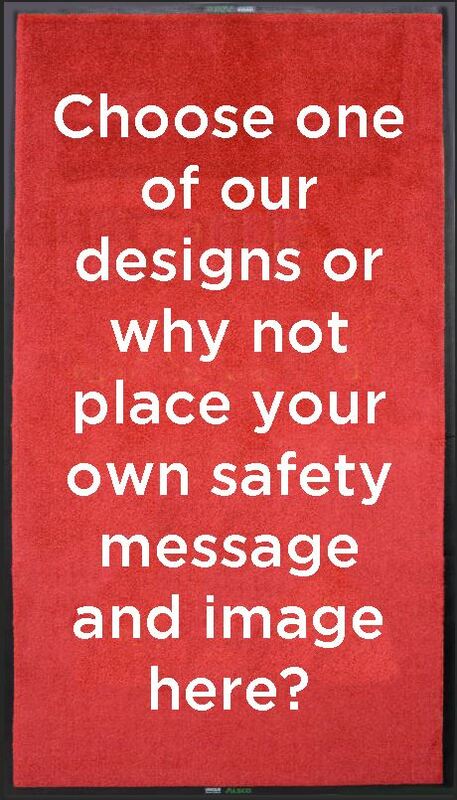 Not happy with our range of 5 safety mat designs? With our ChromaJet printing technology, we’re capable of designing and printing any custom imagery that your business needs in vivid, eye-catching colour and clarity. We’ll even help you design custom artwork at no added cost. 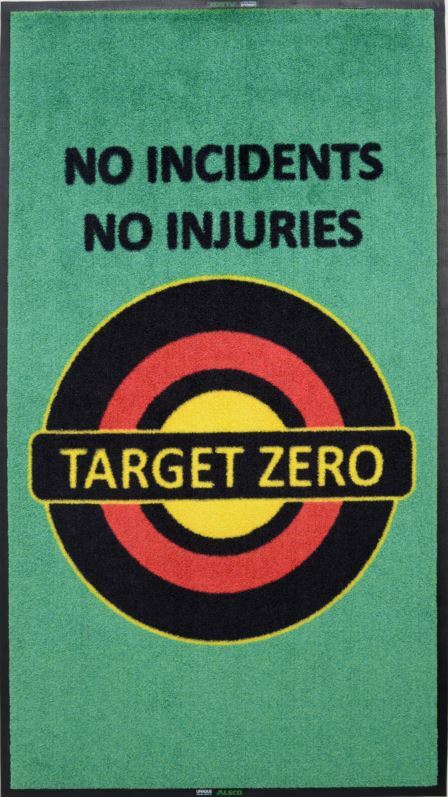 Can’t wait for your new Safety Message Mats? 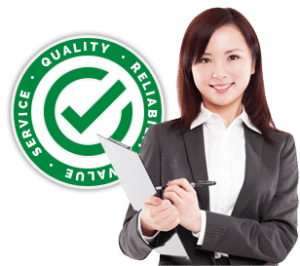 Call 1300 659 892 and we can get you started or complete the contact form top right on this page and we will be in touch shortly.